Having belly fat can be very uncomfortable, it makes you look unattractive and thereby causing you to lose your confidence. That’s why many people today want to know, how to get rid of belly fat. Losing belly fat would seem very difficult and complicated to a lot of people, but however, it is actually very easy. If you want to get rid of belly fat, you should be willing to do very simple things, that will help you lose belly fat in no time. First of all, I would like for you to understand something. 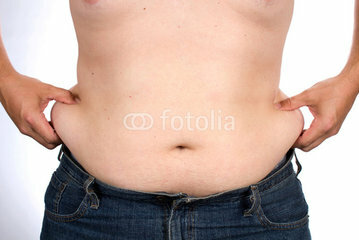 Every single part of your body contains fat, including your belly, it only becomes a problem when it is in excess. Your prime aim, hence should be to reduce the amount of fat, gradually. There is a lot if information everywhere concerning how to lose belly fat, they are all good. But what makes this one you are about to learn unique is that it is simple and shows you the easiest methods.They are not just easy but there are practicable and effective. There are two general principles when it comes to losing fat, weight loss or burning calories. You see, when you eat food, some food gets stored as fat after it has been metabolized. That fat is what is shown physically. Now, the two principles are simple. First is either you eat less food or foods with too much fat. Or you engage in more physical activity and hence burn the fat and calories. Walking is one of the simplest exercise in belly fat reduction. Not many people know this but walking for long distances can reduce the amount of fat in your belly by nearly half. When you walk, you burn a lot of fat in your body in general, but if the walking is more fast paced, it could be more effective to your belly. What then should you do? I won’t just say take a walk more often, Instead I recommend taking a walk everyday. Instead of using a cab or a car, use your legs. Better still, go for a stroll with someone, you have won’t even know the amount of calories you are burning. It is very easy, all you to do is walk. Drinking too much water can make your belly big, but it’s filled with water not fat. How does drinking plenty of water reduce belly fat? Very simple! It deceives your body into thinking you are full when your stomach is actually filled up with water. Well how can you pull this off? There are manifold ways to use drinking of water to lose belly fat. One way is by drinking two glasses of water before eating. This help you eat less food. Another is by taking little sips of water while eating or even flavoring water with sweet fruits to make it more enjoyable. Drinking a lot of water is a great way to lose fat in general, but you will have to do other weight loss activities so that it can be effective. Eating breakfast and a healthy one at that, is an important way to reduce belly fat. Of all the foods you need to avoid, breakfast shouldn’t ever be neglected. Because eating breakfast will help prepare your metabolism and lower the amount of bad cholesterol. Having a breakfast shouldn’t suffice, a healthy one is what you should have. What makes a healthy breakfast? If you want to lose belly fat the ideal healthy breakfast should contain more proteins such as eggs and lean meat and also a lot of fibers, fruits and vegetables. There should be a little of carbohydrates then you are good to go. So this is just some of the easiest ways to lose belly fat. Remember that losing fat or weight can take a while. Be patient, work towards the simple goals and make necessary changes to your diet and live a healthy life. Thanks. Essential Health Tips For Excessive Smartphone Users. Lovely post. It is good to see related health post. Thanks. You have a very cool blog.